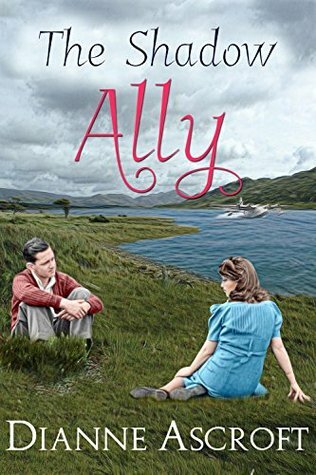 June 1941: Ruth Corey is puzzled by the attractive, enigmatic Italian-American civilian contractor, Frank Long, who is staying at her family’s hotel in Irvinestown, County Fermanagh, Northern Ireland. Serious and reserved, he is nothing like the friendly, outgoing British and Canadian servicemen she knows. Nor, she discovers, does he even use his real surname. War is a time of alliances and secrets. The biggest secret in the county is the construction of an American flying boat base outside Irvinestown. Since their country is not at war, the American contractors must conceal the building project. America’s neutrality will be destroyed if Germany discovers its existence. Ambitious local reporter, and Ruth’s almost fiancé, Harry Coalter is consumed with curiosity about the new American airbase. But why? When Ruth finds a letter Harry has written about the flying boat base she fears he is pursuing a path that will land him in serious trouble. She enlists Frank’s help to stop Harry from making a terrible mistake. Can Ruth safeguard a military secret that will have a profound impact on the course of the war and protect her beau? A tale for fans of Annie Murray, Ellie Dean and Margaret Dickinson. Though coming in at only 76 pages and a relatively quick read it was still interesting and suspenseful. Set in 1941 with WW II in the background the reader is introduced to Ruth who works at her family run hotel where Americans are staying. Definitely a series that I will continue to read, I am curious as to the role the US plays from this location, also what Frank's Italian background could mean should that info get out. Lots to look forward to in the next book. 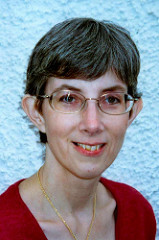 Dianne Ascroft is a Canadian writer living in Britain. Since moving to Britain in 1990 she has lived in Scotland and Northern Ireland. She writes both fiction and non-fiction and her fiction often has Irish connections. Her articles and short stories have been printed in Canadian and Irish magazines and regional newspapers including the Toronto Star, Ireland’s Own, Senior Times, Celtic Connection and Irish Connections Canada. She is co-editor and a regular contributor to The Fermanagh Miscellany, the Fermanagh Authors’ Association’s yearly anthology and she also contributes material to other local history and writers’ anthologies. 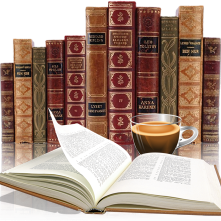 Dianne is a member of the Alliance of Independent Authors, Historical Novel Society, Writers Abroad, Fermanagh Authors’ Association and Fermanagh Writers. Dianne started life in a quiet residential neighbourhood in the buzzing city of Toronto and has progressively moved to smaller places through the years. She now lives on a small farm in Northern Ireland with her husband and an assortment of strong willed animals. If she ever decides to write her autobiography the working title will be ‘Downsizing’. For more information please visit Dianne’s website. You can also find her on her Blog, Facebook, Twitter, and Goodreads. To win an eBook of The Shadow Ally by Dianne Ascroft please enter the giveaway via the GLEAM form below. Three copies are up for grabs!